DNA does not determine your health destiny, but diet definitely can. Family food traditions have propelled many into serious chronic health issues. Can you remix your family’s favorite foods and change the health of your community at the same time? 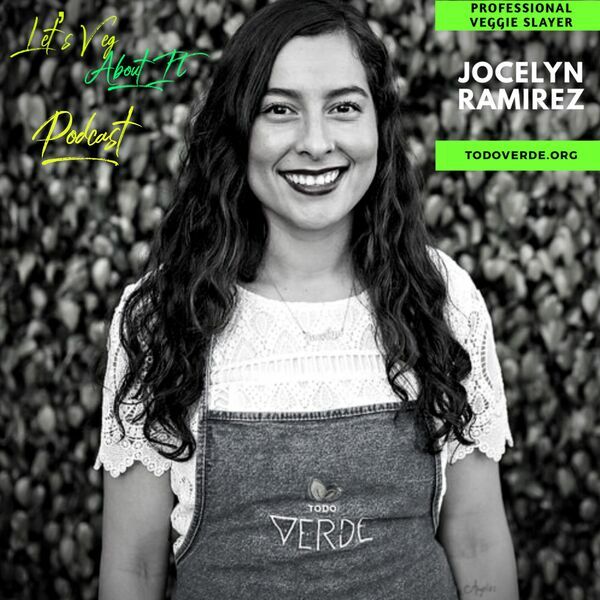 Jocelyn Ramirez, founder of Todo Verde, is doing that and so much more. You have the power to be the CEO of your health and make a difference in your community. Class is in session, y’all!!! You’ll Learn: How To Conquer Diabetes And Cancer With Food How To Be An Example And Motivate Your Family To Change Their Diets The Importance Of Being Proactive With Your Wellness Decisions, Not Just Reactivate Transitioning From The Standard American Diet To An Veg-Focused Diet The Importance Of Having A Plan When Shifting Careers The Successful Path Of Entrepreneurship Why Using Fresh, Local Ingredients Is Important To Your Health If You Want To Make A Difference In Your Community You Have To Start This Week’s PPS (Powerful Produce Selection) Wellness Tips So You Can Get Ya Wellness For The Upcoming School Year Stay connected with Jocelyn on social media!⠀ Instagram: @todoverde & la_yoselin ⠀ Twitter: @TodoVerdeLA Facebook: @Todo Verde Website: www.todoverde.org 🌱Support ‘Todo Verde’s Indiegogo Campaign🌱⠀ https://www.indiegogo.com/projects/todo-verde-to-raise-50-000-for-plant-based-cafe#/ ⠀ Are you ready to get veggie with it? Let’s Veg About It. Class is in session! Do you constantly struggle with making healthy eating or lifestyle changes? Whether you’re someone who has a specific wellness issue you want to address, or you need long-term support and accountability to help you achieve your health goals, I’d love to help. Social media FB-@letsvegaboutitpodcast Instagram-@letsvegaboutitpodcast Twitter @thatveggiegurl @letsvegaboutit www.letsvegaboutitpodcast.com www.veggiesarebae.com Disclaimer: This Podcast is not intended to diagnose, treat, prevent or cure any illness or disease.The information provided in this program is for general wellness education purposes, it has not been reviewed nor approved by the FDA and is not intended to take the place of advice from your medical professional. You are solely responsible for your health care and activity choices. Listening to this show does not constitute a 1-on-1 coaching relationship.